When trying to present a viable argument accompanied with visual illustrations, a person should always consider particular moments regarding how to write PowerPoint presentation. It is essential to follow specific steps when it comes to delivering information with the help of visual display. When it comes to making PowerPoint slides, a person should always pay attention to visual and contextual presentation. Therefore, it is crucial to understand the proper choosing of content and design while considering how to write PowerPoint presentation. A speaker should always remember that the most crucial point of writing PowerPoint presentation is about performing a thorough preparation. It is often helpful to write a script that would allow a person who is presenting information to follow a particular guideline or story that would effectively coordinate oral information with visual materials presented through PowerPoint slides. After making all academic preparations, it is crucial to put a particular emphasis on several moments that would make the content, which person wants to deliver, comprehensible and coherent. 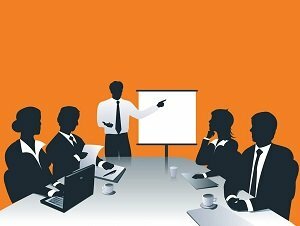 First and foremost, PowerPoint presentation should have a so-called hook that would catch the audience’s attention, allowing to proceed to the most crucial parts of the presentation with maximum efficiency. Secondly, there should be a strong thesis consisting of specific, debatable, and relevant information presented in a single sentence format. Such sentence should be placed in the first slides and will serve as an argument that a speaker will try to prove throughout the rest of the presentation. Thirdly, for a successful PowerPoint presentation, it is crucial to identify the most relevant points that would serve a purpose of supporting the central thesis. Moreover, when it comes to presenting these points, the most viable solution is to use one slide for every single point that would create a consistency and logical coherency in the context of the entire presentation. For content to be understandable and visually acceptable, it is crucial to choose a particular design for PowerPoint presentation. When it comes to design, a presenter should always consider such factors as choosing an engaging template, using proper fonts and backgrounds, as well as using images along with other data sparingly. Since such programs like PowerPoint provide various templates a person can pick from, it is necessary to find the one that would look up-to-date and relevant. While making such decision, one should consider the target audience as well as the information that is being delivered. Furthermore, usage of Sans Serif fonts like Arial, Helvetica, and Calibri for body texts enhances their readability. A presenter should understand that information on the screen should reach the audience effectively through proper visualization. In such context, choosing appropriate fonts is crucial for content to be accurately represented on PowerPoint slides. Additionally, when it comes to design, one should always consider proper formatting. For PowerPoint presentation to be effective, one should use heading and subheadings to divide the content by its initial script. Finally, a presenter should always try to make a presentation as concise as possible, because using too many slides can result in losing the audience’s attention.